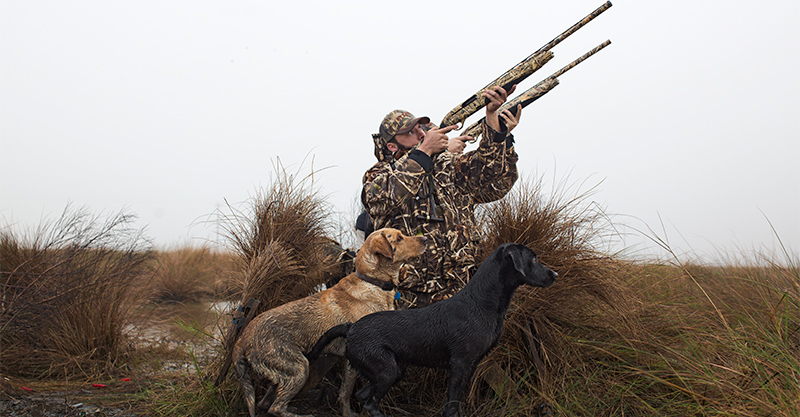 The first rule I learned about waterfowl hunting is: be where the birds want to be. Good advice, but sometimes easier said than done. Scouting is a vital part of that and scouting locations early in the season and before is not only a smart move, but also a good way to keep you on your game year round. Scouting now has gotten very high tech. Smartphone evolution continues to come up with new tools we never knew we needed before, but for some reason, now can’t live without. Apps for phones, tech-speak for programs, allow us to know weather updates, satellite images GPS information and all kinds of data that can either help you as a hunter, or bog you down, depending on your point of view. I for one am usually tied to my iPhone and use it constantly while hunting to check shooting hours, wind directions, etc. Google Earth is a functionality you can download to your computer that provides a lot of information about a given area and every time I use it, I see something new I didn’t see before. It provides highly detailed satellite images of an area and allows you to look at the area at different times of day and year, as well as angle. The best part of this is getting to see those spots that aren’t always so easy to see from the ground. Look at it this way: you’ve got a lake that you’ve seen before. Heck... you may have even hunted there. Have you had good luck every time you’ve gone to this lake? Where do the birds want to be? Remember that question. One of the things you can learn from the Google Earth images is the shape of the lake from the birds-eye view. It may show you that you’re already in the best spot. There is the chance, though, that you’re missing out on spots on that lake that will serve you better. Another gadget worth having for scouting is a good GPS unit. I use two, one being a handheld unit, a Magellan Explorist 710, and a Garmin Nuvi automotive unit for the vehicle. The reason behind the car unit is simple. When I first cut my teeth duck hunting, the main thing I was after was Canada geese. We would often sit on a pond in the morning when they were still roosted. The ponds were usually in town and not hunt-able, we’d follow them out to a field and get permission to hunt, and this worked well but involved some breakneck driving at times and if we were in areas we weren’t used to, we’d sometimes have a hard time remembering just how we got to where we were going. A GPS gives turn-by-turn directions and gives me one less thing to think about when I’m navigating my way back to a field in the pitch black of early morning, coffee-pounding, pre-hunt travels. The GPS is accurate enough that I don’t have to worry. The handheld unit is great for mapping out a field, and getting into those spots that birds want to be in. I used to hunt a lot in Wisconsin and there I was hunting a lot of big cornfields. We used the GPS to mark where in the fields we had seen birds and then modified our approach the next day to be close to those spots, but not directly there. We noticed that returning birds seldom hit the exact same spot in a cut corn or wheat field the next day. Having the GPS let us set spreads in confidence that we’re in an area that will see traffic. Springtime is a great time to start scouting, too. I spend as much time looking for good fields in the spring as I do in the fall. It helps to find those hidden potholes and ponds in the spring. For one, you get a good idea of what they should look like come fall. The water levels are usually higher in the spring then they will be in the summer, when they could be dried up. But come fall, the heavier rains will often fill them up enough to hold birds. It is also a great way to find a spring turkey spot, and who doesn’t like dropping a thunder chicken when the opportunity arises? I also use the spring months to get to know area farmers whom I don’t already know. If you get those few moments when a farmer isn’t busy, it can be a great source of not only information, but a great opportunity to get permission to hunt that fall. I’ll fill you in on my personal secret weapon when it comes to getting permission; I have my wife ask. Sounds cheesy, I know, but she has yet to get turned down. It helps for her to take one of the kids too. Cheating? Maybe, but all’s fair in love and hunting. Besides, my wife loves to hunt as much as I do and I take her and the kids with me when I hunt. The family the hunts and scouts together, well you get the idea. I do a lot of field hunting and getting to know farmers is vitally important. I get a history of where birds land in what fields and discuss crop rotations with my farmers. I do this while offering to help out when and where I can. Sometimes this means a few days of helping around the farm, others may just appreciate the offer. I don’t mind as I grew up on the farm and know my way around a tractor. Offering a little goose jerky helps too. Game cameras are changing the way we hunt. I use game cameras for scouting waterfowl and not just geese in fields. It is a great way to scout when you’re not there. I have a few honey hole spots that, when there are birds around, there are birds around. One is a river that when ducks and geese are on the move, it fills in fast. A lot of it has to do with proximity to a dam system so the water is slower. There is also an ample supply of food around. The hard part for me as a hunter is, there is no place to hunt but the river. So when I start seeing a few birds in the area, I put up a camera and check it often to see if the birds are using the river. The trick with using a game camera for birds it trying to get it pointed in the right spot. Take your time and use the viewer if your camera has one. For field use, I made up a portable fence post that only cost a few bucks to make from a treated landscape timber and a few clumps of dead grass and/or cornstalks. The trick is to try to hide the camera in the wide open. The last thing I want to do is have someone steal my $250 camera. I also don’t want to spook birds, so brushing up the post is a must. By setting the camera’s date and time function, you can track the time of day the birds are coming in, what direction they came from, the temperature and more. Get in touch with your local wildlife biologists and ask them for advice. Spring is a great time of year to do this as they are not inundated with requests from other hunters. Another great source is police officers. I got in with a few guys years ago who were all in law enforcement. They are great sources of information. Think about it, they spend a lot of time driving around on patrol. The guys I know are all into waterfowl hunting and are eager to report bird movements. A couple of these guys are now trusted hunting and fishing buddies too. On top of being great guys, they tell the best stories while sitting in the blind. Who wouldn’t want to hear about the drunk who got tasered? Volunteering with Delta or DU is a good way to get in touch with these biologists as well as helping habitat projects. Remember, the more birds that get produced in the summer, the more birds you have to hunt in the fall. Help out with a banding operation. 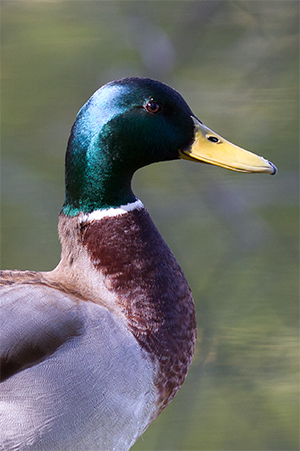 Put up hen houses or wood duck houses. Get involved. 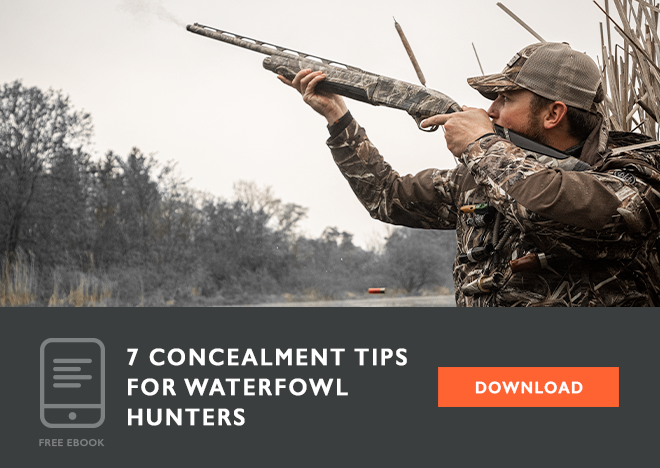 Not only will you meet like-minded people and get to know a few new hunting buddies, you’ll also be taking an active role in protecting our future water fowling. 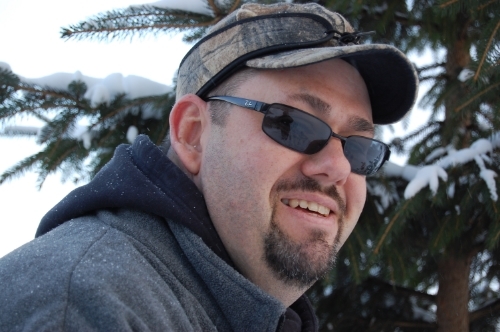 Derrek Sigler grew up in northern Michigan, chasing deer and birds around his family farm. He cut his teeth chasing flocks of geese and ducks across corn and wheat fields, and grouse across the north woods. 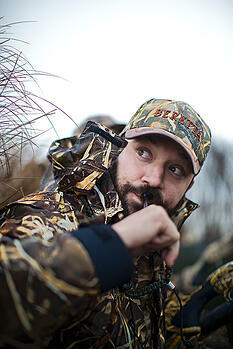 He has worked as a writer for Cabela's, and served as editorial director with Gun Digest books. Currently, he writes for Outdoor Hub and for Beretta. He routinely travels across North America for hunting adventures.